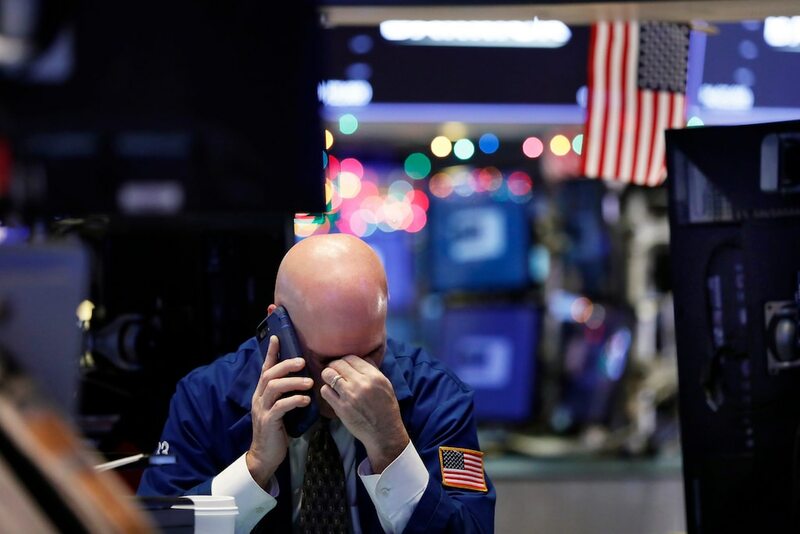 Wall Street opened lower Monday as dismal economic data out of Beijing raised concerns that China’s economy could slow more than previously thought, adding to risk-off sentiment amid a global trade war and Washington’s longest government shutdown on record. The Dow Jones Industrial Average fell 130 points, or 0.6%. The S&P 500 shed 0.7%, and the Nasdaq Composite was 0.9% lower. The Chinese government said early Monday that China’s exports fell by the most in two years in December, shedding 4.4% from a year earlier, while imports fell 7.6% in their largest drop since 2016. With a slew of companies around the world recently warning of weakening Chinese demand, the figures underscored expectations for tariffs to add to a policy-engineered slowdown in the second-largest economy. China’s trade surplus with the US widened to a record high in 2018, according to Monday’s General Administration of Customs data, a development that could complicate trade negotiations as the two countries race to reach a deal before a March 1 deadline. Shares of Apple, which recently warned that a slowing Chinese economy would hurt its sales, dropped 1.5% early Monday. Boeing and Caterpillar, which are seen as industrial bellwethers, and chipmakers, whose sales are highly-exposed to China, were also sharply lower. Citigroup posted results that fell short of analyst expectations, reporting a surprise 21% drop in fixed-income trading revenue during the fourth quarter. Other major banks will help kick off earnings season this week, with analysts expecting an increasing focus on results. Concerns about a slowdown are also increasing in the US as a partial shutdown of the federal government continues into its fourth week, officially the longest on record. It is expected to start to chip away at the world’s largest economy, with economists dimming their outlooks for figures like monthly employment and quarterly gross domestic product. “Even a one-month shutdown would seriously hit growth, to say nothing of the misery caused,” said Ian Sheperdson, chief economist at Pantheon Macroeconomics. Treasury yields were lower, and the dollar was mostly flat against a basket of peers. SoftBank spent $900 million in investment banking fees in 2018. The only entity it lagged — the People’s Republic of China.